I know what it’s like to be stuck. I’ve totally been in your shoes and know how hard it can be to want a change but not know what to do or how to get there. I work with amazing midlife working women, like you. The only problem is you’re watching your own life pass you by as you go through the motions of life and you just can’t take it anymore. I’ll help you bust out of your midlife funk, figure out what you want and make changes to create a life that makes you giddy with excitement about all that’s possible. GET YOUR FREE MINI INSIGHT CONSULT SESSION! I’m a Master Certified Life & Weight Coach who’s on a mission to help midlife women get excited about their lives again. You can no longer ignore your own drive to grow. Now that you’re older, you know deep down that there’s more out there for you, but you’re really unsure about how to find the meaning you’re looking for. The coaching work that we do together is absolutely transformative. You’ll go from feeling like you’re trudging through mud to feeling like you’re swimming in the crystal blue water of the Caribbean. It’s that much of a change! I’ve always been fascinated by why we do what we do; I even wrote about this way back in 1981, in the little blurb next to my graduation photo in my high school yearbook. It’s really no surprise that my passion led me to study behavior. My MA in Applied Social Psychology honed my listening skills and opened the door to a 25 year career in public health, specifically in addiction and mental health educational publishing and health promotion. 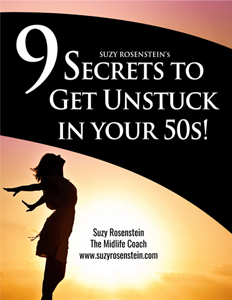 Although I loved my career, I found myself feeling quite stuck about the time I turned 50. I really craved working one-on-one with people. I was also bored and no longer content doing only only project management. I wanted more. I felt it deep inside. And…I was afraid of having regrets. Does your job look great on paper but it’s boring you to tears too, like mine was? I don’t know about you, but I was withering away, just passing the time. Oddly enough, I couldn’t get my head around leaving. Golden handcuffs can get really tight! I was afraid to leave. And I let five years go by. Yes…five years. How much time have you wasted? Then one day…I got a fateful knock at my office door. I was being laid off. Totally harsh, but wow, it opened up the possibility for me to make the change I really wanted but was too fearful to make on my own. This is why I get what you’re going through. I was there too. I know first-hand what it’s like to feel confused and fearful about change. I also know what it’s like to bust through. Midlife Crisis or Midlife Funk? It didn’t quite feel like a classic midlife crisis, but something was off; I was smack dab in the middle of a midlife funk. What followed was my absolute shock at just how effective and profound the whole coaching experience was. I knew I needed to understand more about how this process of learning to manage my mind helped me so quickly. The coaching started about the time I turned 50 and also helped me realize I had to do some regret-proofing myself. …and could also figure out how to live intentionally myself. Turning 50 also gave me insight into my career. I knew I had more to give and people to help. I asked my coach where she trained and registered at the same school right away. Today, I’m a Master Certified Life and Weight Coach, trained at The Life Coach School with Brooke Castillo. I’m also an instructor and have been part of the teaching team for the certification of dozens of new coaches and coached 100s of women who also feel stuck and frustrated because they know there’s more out there for them. I’m also a Certified Authentic Selling® Instructor for Kendrick Shope’s Sales School and help online entrepreneurs understand basic sales tools and strategies so that the can make money, reach more customers and clients, and do more of what they love. So many midlife women dream of being an entrepreneur; having both the coaching skills and sales skills helps me help more women every day and I love it! This shift in my mindset led to my new career. I could finally see that these new ideas, training and doors opening were OPPORTUNITIES for happiness! It was the first step in opening my mind up to all sorts of possibilities, even being this age. One opportunity surprised me because it was something from my childhood. I found myself reflecting more about what brought me joy as a kid. When I was young, my family bred and showed St. Bernards. I had such fond and happy memories of this brief time in my life. I started to think. I started to dream. 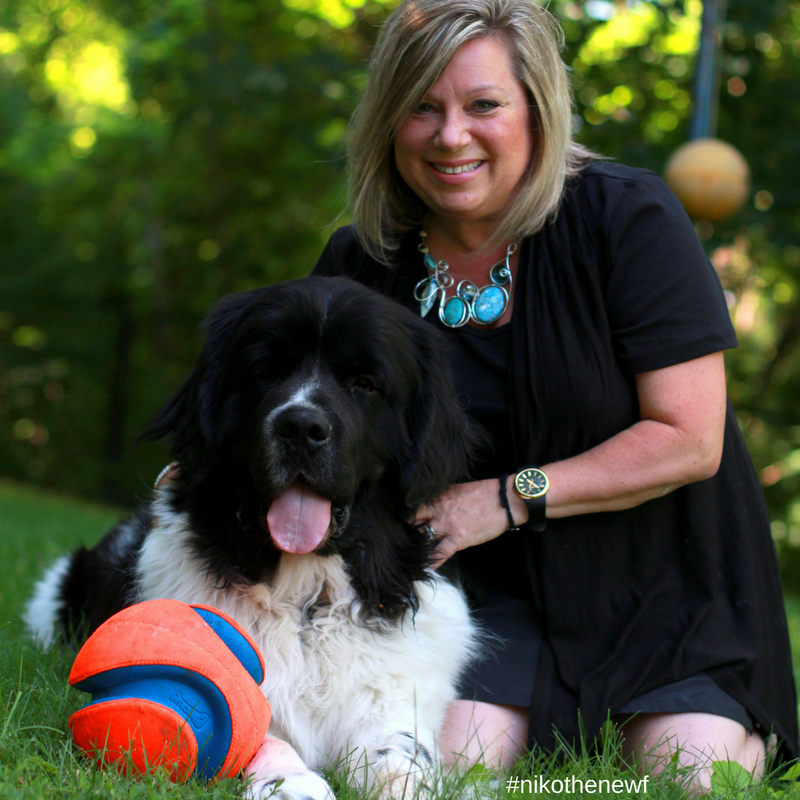 And before I knew it, I was the mommy of a big, hairy Newf named Niko. Newfs are quite similar to St. Bernards but they are a water rescue breed, which is perfect for us because we spend time on a lake. Having Niko in my life is a way to not only share a bit of my past with my kids, but also bring back and enjoy many of my most favorite memories as a kid. I love that my family is growing up with a slobbery and lovable friend like Niko. And…you never know what will happen when you dream BIG! This insight about connecting with something that I wanted in my life, on purpose, was only the beginning. I love helping my clients get results that are life changing. I have skills and tools to help YOU get excited about your life too. Mindfulness can change your life at any stage. But coaching can help you take back control of designing the life you want. Are you ready to finally see what you want? To have it becomes crystal clear? Can you imagine yourself knowing exactly what to do to make it happen? I want this for you! I can help you make it happen. Do you want it for yourself? That’s really what it comes down to. Life is way too short for regrets. You will regret having regrets. We all will. So let’s make sure that doesn’t happen! 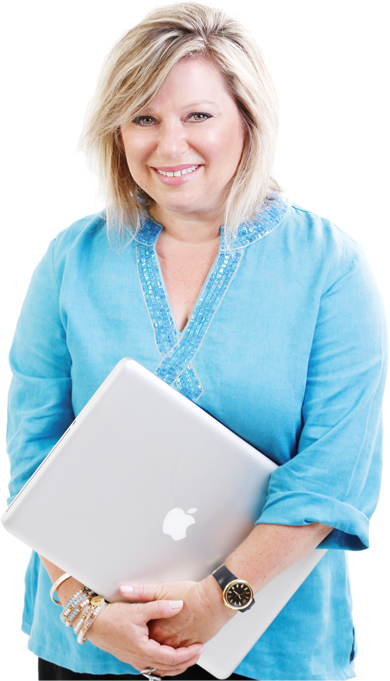 Click here to book your free, no obligation Mini INSIGHT Consult Session with me on the phone. Can’t wait to talk to you! JOIN my private Facebook Group, the Women in the Middle Community: Regret-Proofing 101!